So whether you're an Indianapolis, Indiana driver looking for a Ford F-150, a Martinsville motorist in search of a quality Chevrolet Cruze or a Shelbyville shopper looking for a Nissan Sentra, the Hubler Automotive Group is here for you. Don't hesitate to get a feel for all that we offer, browse our group dealership website now. 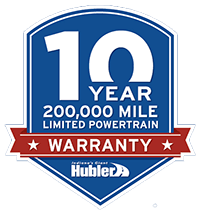 Our Hubler team is standing by, ready to provide you with the personalized auto experience that you deserve. When our collection of family owned and operated dealerships isn't helping you secure that lifted truck you've been wanting, we're actively supporting and sponsoring both local and national organizations. We support Greenwood and Southport little league teams, Toys for Tots and various events through the Indianapolis Police Department, such as Shop-With-A-Cop, just to name a few. Contact the Hubler Automotive Group to learn more about the various ways our auto group assists the Bedford and Plainfield, IN communities we serve!